Lounging on the shores of Corozal Bay at Cerros Beach Resort. 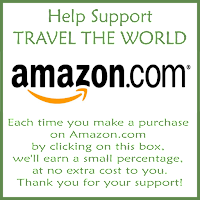 Have you ever had an experience while traveling that kind of changed your life? Not something huge like finding your soul mate or losing a limb. Rather a tiny experience that you never would have seen coming, never would have thought would make a difference, but that you remembered forever. 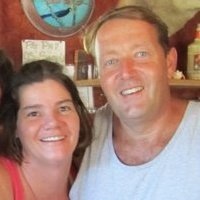 We had such an experience when we stayed at Cerros Beach Resort in Belize and met Bill and Jennifer Bellerjeau. So what drew me to Cerros Beach Resort in the first place? The description in my Lonely Planet Belize guidebook caught my attention. First of all, it said Cerros Beach Resort was the authors’ “new favorite spot in northern Belize.” You can’t argue with favorite. 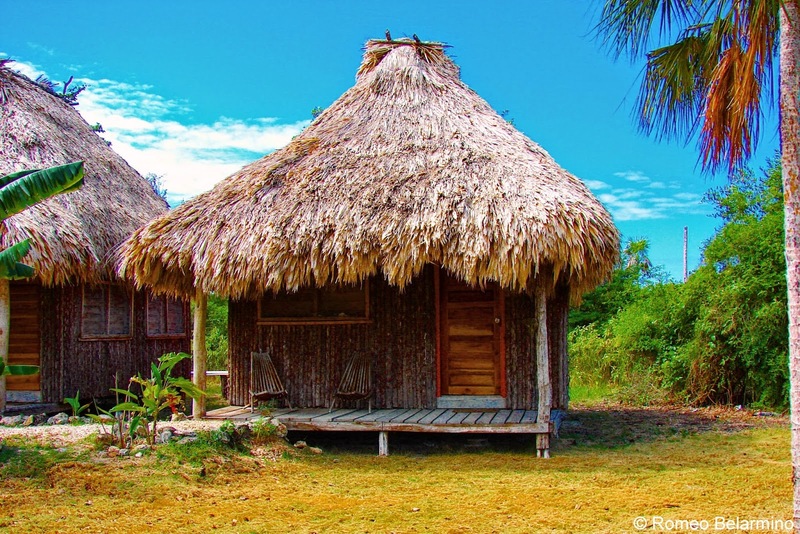 Then it described thatched-roof cabanas in local style along the shore of Corozal Bay. I’m a sucker for cabanas and ocean views. Then there was the part about the owner being a former pastry chef from Miami who makes the best ceviche and chocolate cake in the world. As you know, I love food. Oh, and then there was the price; $40 per night (rates are $40 to $60 depending on the time of year). 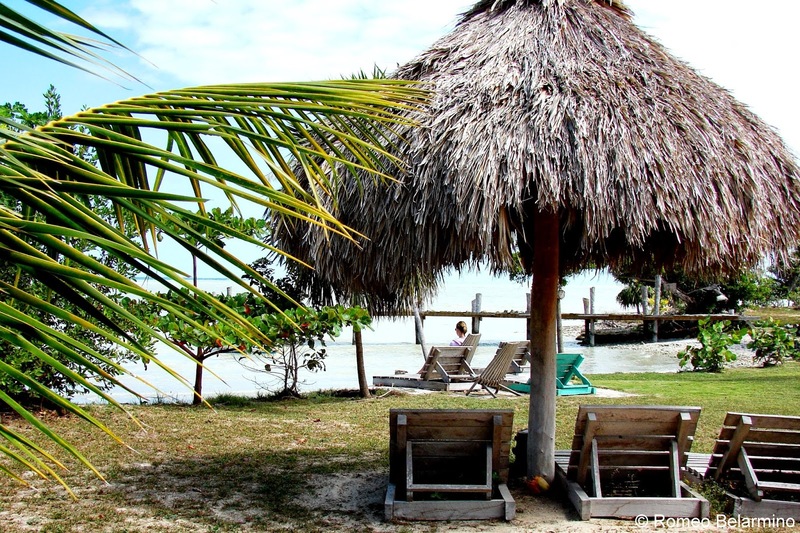 Our Belizean thatched-roof cabana at Cerros Beach Resort. It was with trepidation that I told Romeo about Cerros Beach Resort. We love staying in small hotels and bed and breakfasts, but there are only four cabanas, and he is always worried about having to sit at a table with strangers and making conversation (which is odd since he’s the talker of the family). He was skeptical, but went along with the plan. 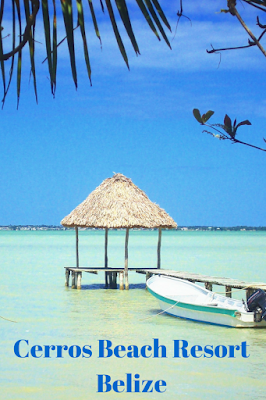 Cerros Beach Resort is located in northern Belize on the south side of Corozal Bay. 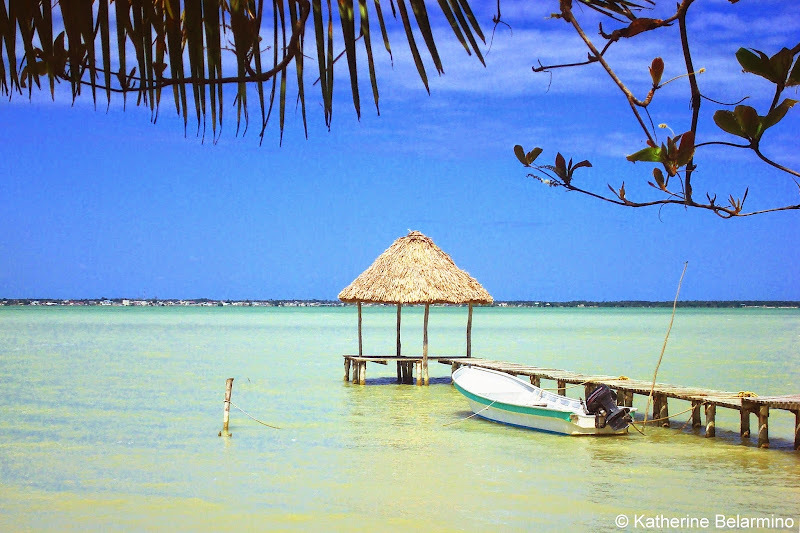 It’s just a short boat ride across the water to the town of Corozal, but it feels like it’s in the middle of nowhere. Getting to Cerros Beach Resort involved driving on bumpy dirt roads, crossing a river on a hand-crank ferry, and following the arrow on a hand-painted wood sign on the side of the road. Getting ready to cross the river on a hand-crank ferry. When we arrived at Cerros Beach Resort we were greeted by Bill and Jennifer Bellerjeau. They welcomed us warmly and immediately invited us on a tour of the premises. They invited us into their house, introduced us to their dog, and showed us everything they had done to make the resort completely green, as it is run on solar electricity. Another plus, Cerros Beach Resort is eco-friendly with a low-carbon footprint. By the time we had finished our tour, we felt completely comfortable with Bill and Jenny and were looking forward to our four nights at Cerros Beach Resort. Bill made us lunch in the on-site restaurant at which point we had the best shrimp ceviche we have ever had. 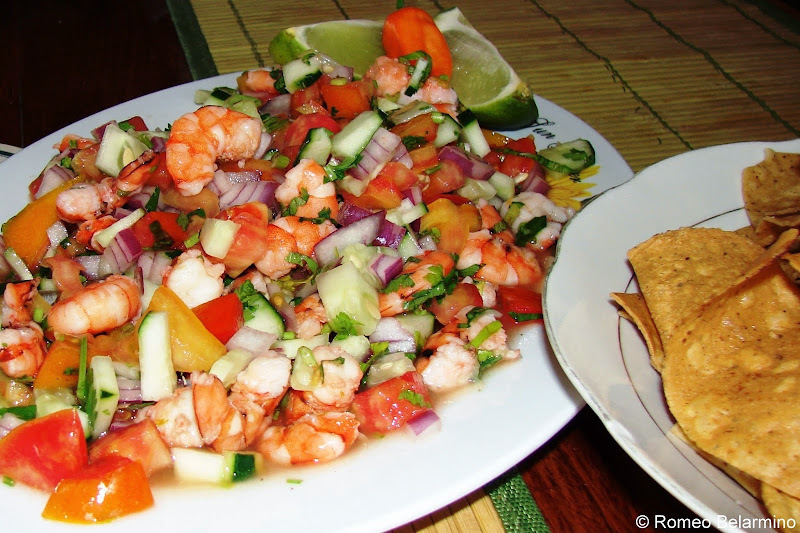 Bill makes shrimp ceviche and conch ceviche with cucumber, cilantro, tomato (Belize has the best tomatoes in the world), and onion with a habanero on the side. I have actually been fairly successful in recreating his ceviche at home. While we have had many delicious ceviches since then, they have never quite reached the fresh, tangy, crunchy, mouth-watering deliciousness of Bill’s ceviche. While we ate lunch Bill and Jenny told us more about their history. At the time we visited, Bill and Jenny had owned the property for four years. Bill had arrived first and spent nine months clearing the jungle and then built their home and the restaurant with the help of some of the local residents. After lunch we got to try Bill’s famous chocolate cake. His chocolate cake is famous for a reason, and I don’t really even like chocolate or cake, but I loved his. The crazy thing about staying at Cerros Beach Resort is that you become so relaxed you lose all desire to go out and explore. 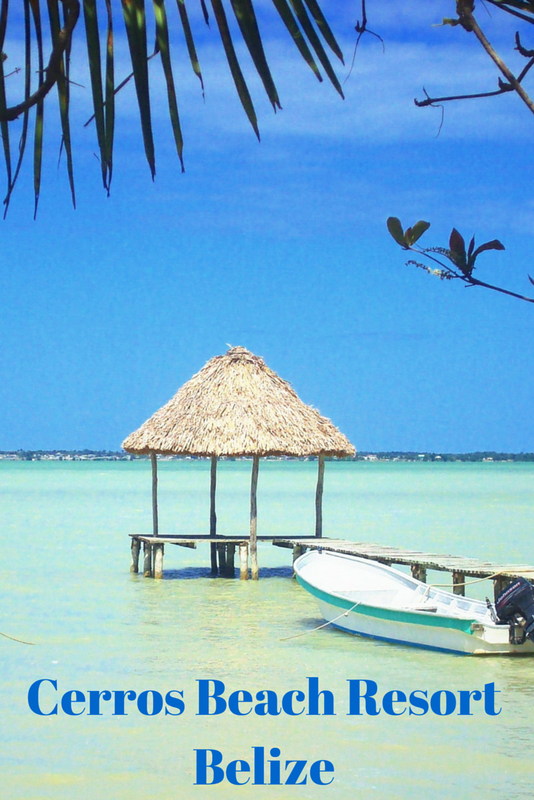 You kind of just want to sit in a lounge chair and look at the blue waters of Corozal Bay or have a Belikin at the bar with Bill and Jenny. They are just so easy to talk to. 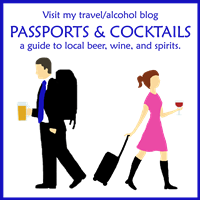 Plus there are some fascinating people living in the area that come to hang out at the bar or on the beach. By the time dinner came around on our second night, we were asking Bill and Jenny to sit with us so we could talk some more. We had completely changed from people hoping to just relax and not have to socialize too much to wanting to spend more time talking with our hosts. Bill showed us his collection of recipes he had compiled over the past 20 years. I even got Bill’s chocolate cake recipe, though I have not been as successful recreating it at home as I have been with the ceviche. The Cerros Beach Resort pier. 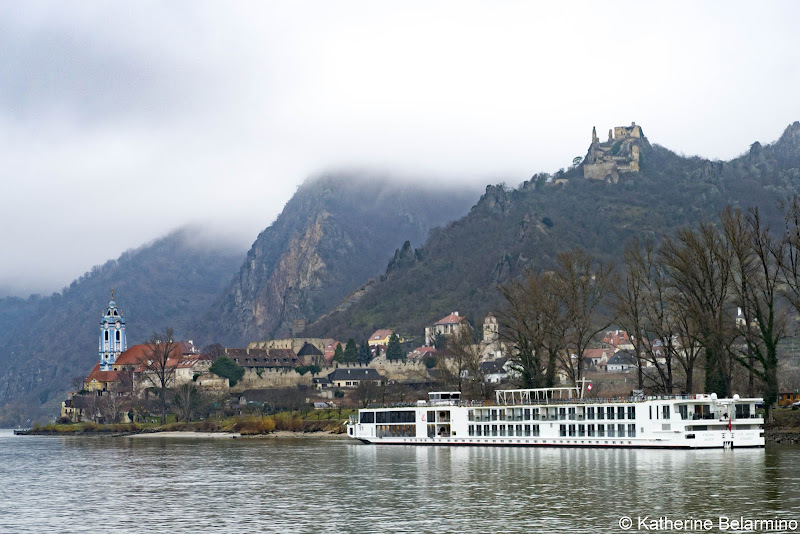 If you can tear yourself away to do some sightseeing, there are a few places to visit nearby. 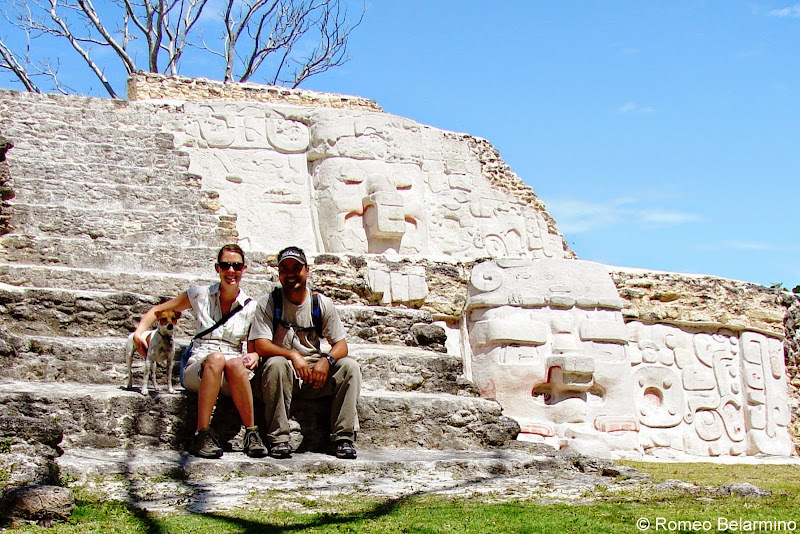 Just a short hike away from Cerros Beach Resort are Cerros' Mayan ruins. The ruins are small compared to others in Belize, but they are the only Mayan ruins in Belize that are built along the water. We were accompanied by a neighbor’s dog who we joked was our rental dog. It was funny to be exploring Mayan ruins with a small dog. Exploring Cerros' Mayan ruins with our rental dog Hannah. 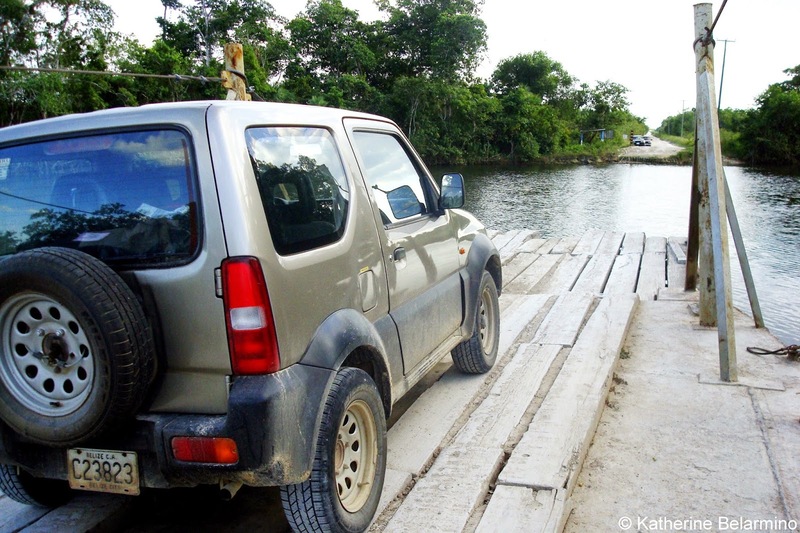 If you have a rental car, you can drive to Corozal, or Bill or Jenny can take you across the bay in their boat. Corozal is a great little town to explore on foot. It is filled with a number of lovely homes, especially along the water, that were built in the Spanish Colonial style. During our time at Cerros Beach Resort we also spent a day visiting the Lamanai Mayan site and I got an excellent and inexpensive shiatsu massage from Bill and Jenny’s masseuse neighbor and friend Nancy. 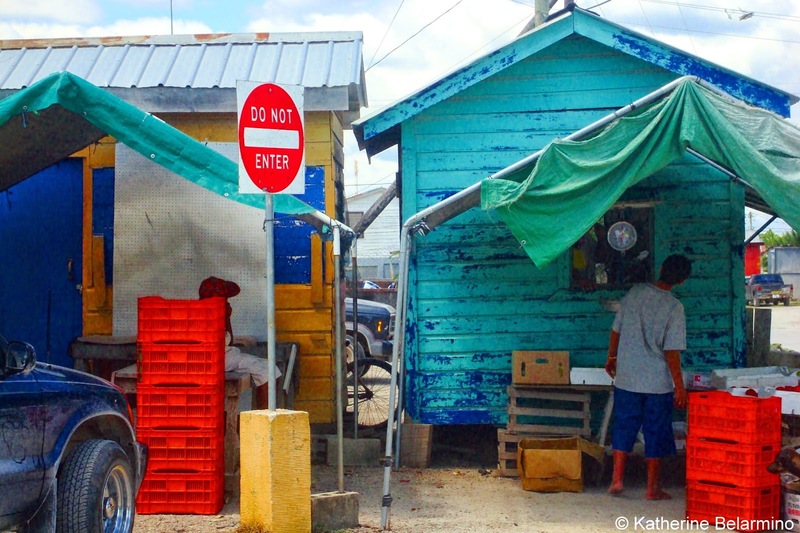 The colorful market area of Corozal. We arrived at Cerros Beach Resort, drawn by the beautiful description of the place, but nervous about having to spend a lot of one-on-one time with strangers. We literally left with tears in our eyes because we didn’t want to leave our new friends Bill and Jenny. And because of that experience I am now more open to connecting with people while we’re traveling and actually look forward to meeting new people on our travels. It’s funny how seemingly little experiences can change you. Have you ever met new friends on the road or had a travel experience that changed you?